As see-saw years go, they don't get much more spectacular than Kildare's 2018. The season started with such hope and a trip to Croke Park to face Dublin in the opening round of the league. They would be relegated without taking a point but later found themselves reaching the inaugural 'Super 8s'. In between they won their 'Newbridge or nowhere' campaign and followed that up by beating Mayo. But just a few weeks earlier they lost to Carlow in the championship for the first time in 65 years. Predicting the Lilies' football fortunes is a hazardous pastime. And that's the frustrating thing for Peter Kelly. The former All-Star looks around the Kildare dressing-room and reckons there is enough talent to let them run with the bulls. Putting it all together remains the big challenge. 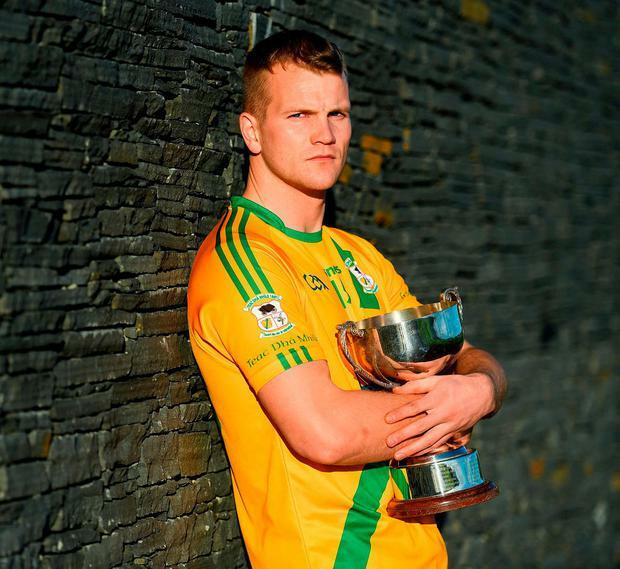 "I suppose Mayo would have been considered a top-three team, top three or four. They have been in finals the last few years. We showed that we can beat them. "Monaghan are a top-five or top-six team as well and that could have went either way in the Super 8s. "The way the Kerry game worked out, we played unbelievable in the first half, the second half just got away from us. We had a man sent off and we were always going to be up against it. "Look, we know we're there or thereabouts. Dublin are setting the standard at the moment and we just have to get to their level. I think we have the players at the moment but we just need to get that winning mentality and that lack of fear against these teams. "Coming from Kildare you kind of always say, 'Oh, Kerry, Mayo, Dublin...' you kind of put them up on a pedestal almost. But there's no reason for that. "We have the same facilities as them, we have the same players as them, so there's no reason why we can't build and go a step further this year." Perhaps Kilkenny great Michael Fennelly can help with that winning mentality after he was appointed strength and conditioning coach, while Cian O'Neill has also introduced new selectors. Kelly (29) was part of the 39-strong panel named by the manager last week that doesn't include Niall Kelly or Daniel Flynn (left). However, the Lilies can still call on a handful of players who have been in professional set-ups in the AFL or with soccer clubs in England. "That's what I mean. We have incredibly talented footballers. They've been there, there's not many Dublin players that have been in professional set-ups, maybe one or two. "I think it's just mentality, to believe you're good enough and to finish a game out. "That's why I think the Dubs' mental strength is just incredible. They never panic. No matter if they're winning or losing with 10 minutes to go, they still believe they're going to win. Ultimately then it happens. "They're just so comfortable within themselves. It's up to the rest of us to get that level of confidence and belief." Since his All-Star-winning debut season, back in 2010 when Kildare reached the All-Ireland semi-final, the Dubs have been at the centre of much of his football heartbreak. "It's a tough one with them, sometimes you can kind of get really close, then they can turn it on. It's hard to put a finger on it. Are they just that good? Or is it our lads not believing and saying to themselves, 'Jeez, these lads are just that good, we can't beat them'. It's a tough one. "It's up to the rest of the teams in Ireland to get to them. As I said, I think man for man we have the footballers in Kildare. I don't think we are that far away but it's building that mentality where we can get everyone on the same wavelength that we can beat them." 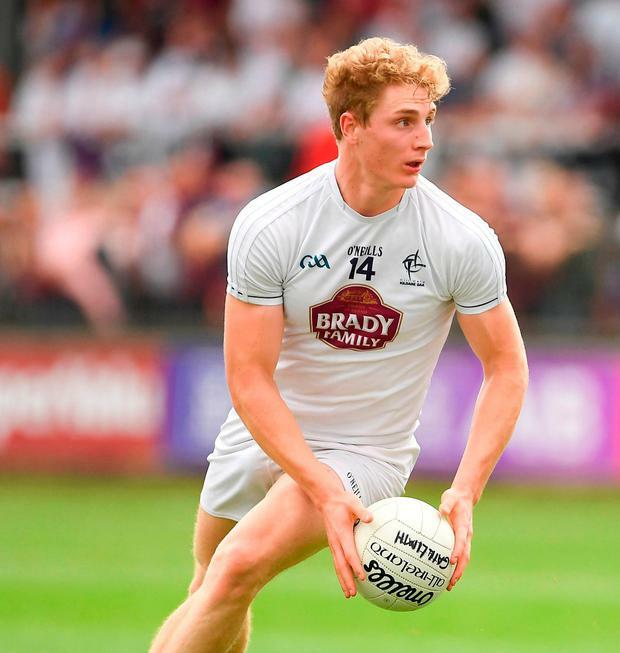 Kildare are not Kelly's immediate concern as he lines out for Two Mile House in the Leinster club IFC final on Saturday against Offaly outfit Shamrocks. The club went all the way to All-Ireland junior glory in early 2014 but it's a campaign that brings about mixed emotions for him. He underwent surgery on his knee that was due to keep him out for a month but when he came around from the anaesthetic, he discovered the operation his knee required was much more serious. "I had six weeks (recovery) or something like that. I thought it would be grand, a month to recover and then I'd be back training. But I woke up then and he said, 'you'll have three months of a recovery'." "I missed the All-Ireland semi-final and I actually missed the final but I got on at the end because we were comfortable. I only got on for the last 10 minutes of that. I shouldn't have been on really. It was horrible at the time." And he's determined to make the most of this chance before the club move up to senior for the first time in its history in 2019. "It's great because you are stepping into the unknown. It is the same at intermediate level, you might know some of the Shamrocks players and their bigger names but beyond that you don't know too much about them. It was the same in junior a few years ago, it's fun, you play football there is a little bit of analysis but you are not analysing it to death. It's two teams going out and going hell for leather."